I’ve rediscovered my crock pots and it’s awesome. 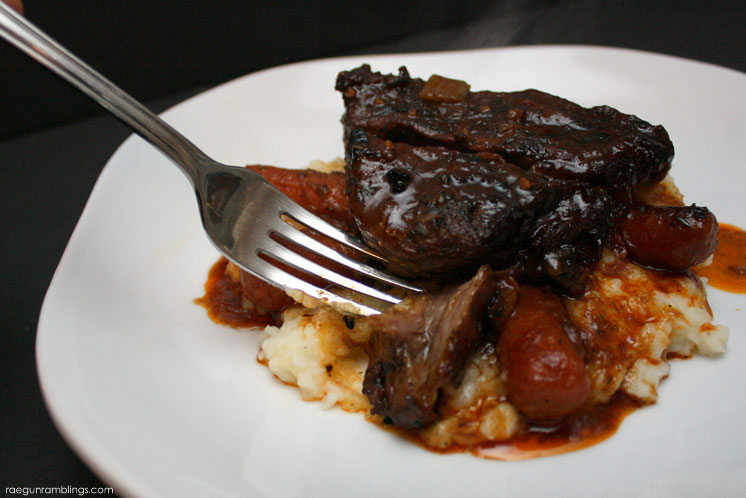 It started with this delicious fancy beef for two recipe. I was trying a recipe my mom had made but I didn’t really check before I started and did way more improvising and ingredient swapping than recipe following but it was so good I’m totally hooked. 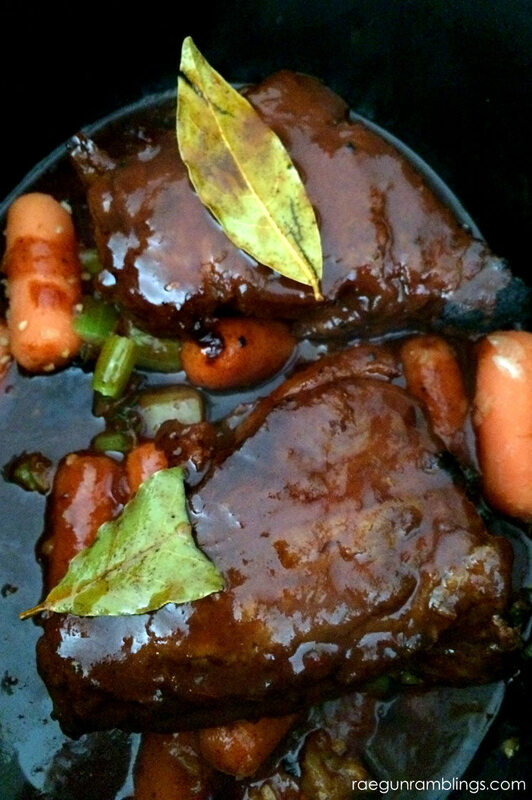 Last week I used my small slow cooker twice and it was great. I’m going to try and make at least one crock pot meal a week because they turned out SO good. 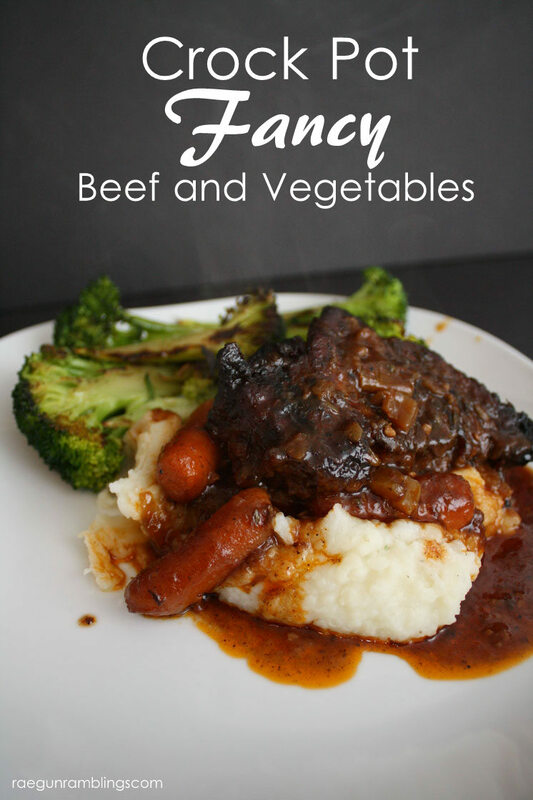 This is technically a roast recipe but it tastes like something I’d order at a nice trendy restaurant not your same old same old crock pot roast. 4 oz Tomato Sauce (don’t tell but I used 1 packet boboli pizza sauce since I keep forgetting I have them and need to use them up, but regular tomato sauce should be fine). Saute onions, celery, and carrots until onions are transparent in vegetable oil. Add in garlic and time and cook for a few minutes. Scoop out and place into the bottom of the crock pot. Season the flour with salt and pepper and dredge the beef in the flour. 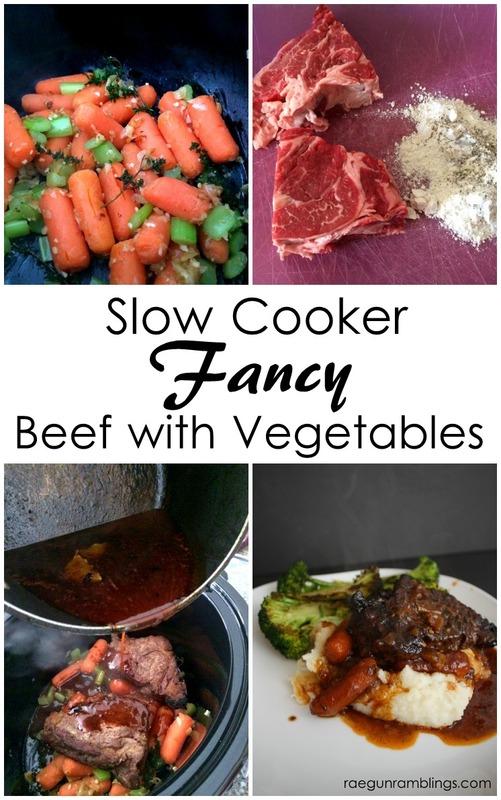 In the same pan that you cooked the veggies brown the all sides of the beef and then place on the veggies in the crock pot. Add wine to the pan to deglaze and reduce the wine by half. Add in tomato sauce, brown sugar, soy sauce, and bay leaves. Stir and pour over the beef in the crock pot. Cook on low 8 hours or on high for 4 hours. 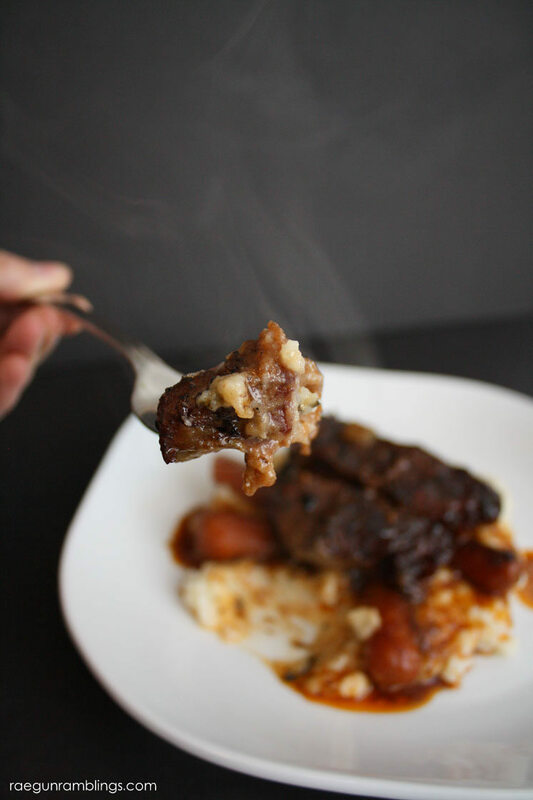 This recipe makes 2 hearty servings but can easily be increased if you want to use a larger roast and have left overs. But if you’ve been here before you know that we don’t really do leftovers so…. I like to serve this with mashed potatoes super yummy. 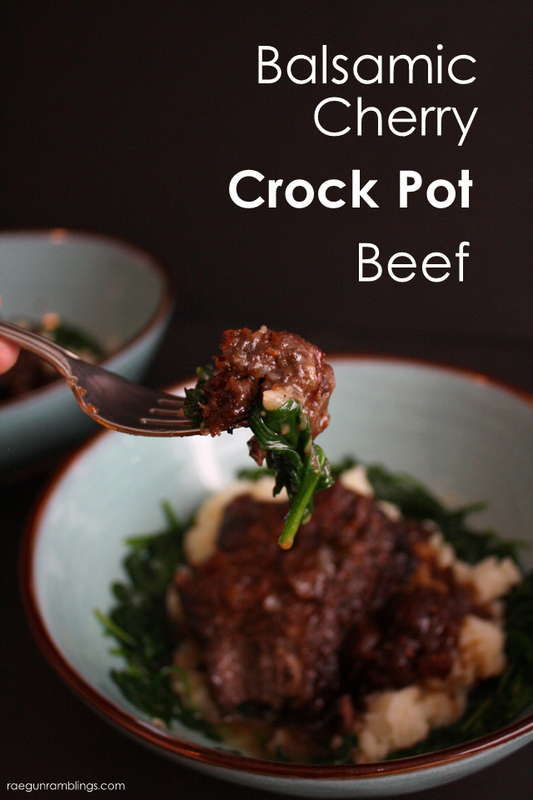 Want more delicious recipes for the crock pot? Check out my delicious Balsamic Cherry Beef Crock Pot Recipe. 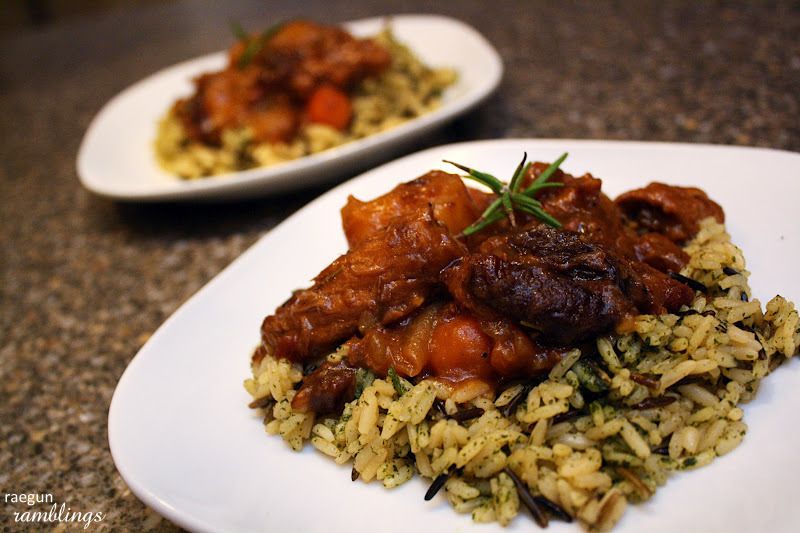 And also my Hunger Games inspired Katniss Lamb and Plum Stew (which you can make with beef instead of lamb).